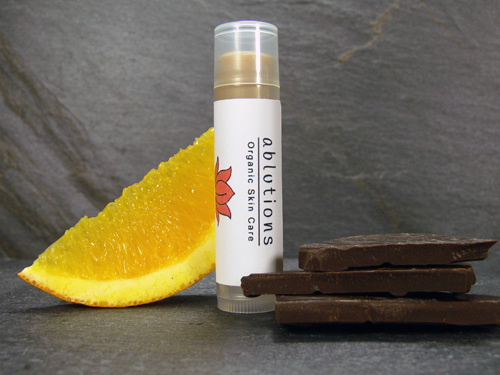 A smooth, creamy lip butter featuring sweet, juicy orange and rich dark chocolate. We combine fresh, organic beeswax, nourishing organic sunflower oil, juicy orange and rich dark chocolate in this creamy butter to soften, soothe and moisturize dry lips. If you buy only one organic product for yourself, please make it Organic Lip Butter. Every time you lick your lips, you ingest a small amount of whatever happens to be on them. Shouldn’t it be the most natural, pure, pesticide free product you can get your hands on? Glide over lips anytime to moisturize and protect lips from dryness and chapping.